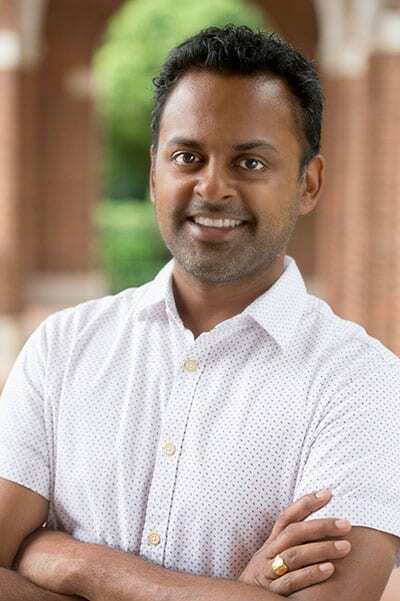 Kishore grew up in Connecticut before going to MIT where he earned bachelor degrees in Physics and Brain/Cognitive Science and minored in Political Science. He went on to earn his PhD in Biophysics at Harvard University under the mentorship of Drs. Brian Bacskai and Bradley Hyman. Kishore completed his postdoctoral work at the Skirball Institute at NYU with Dr. Robert Froemke. In his spare time, Kishore is a bit of a political junkie having had a few stints working in Washington, DC as a policy analyst and as a consultant at McKinsey where he advised various government and non-governmental agencies. How does context influence learning and the expression of underlying knowledge? Some context-dependent responses may be maladaptive; for example, anxiety may repress the recollection of information under stressful conditions. Others may be adaptive, enabling discretion and choice in the face of risk. More broadly, contextual factors, related to brain state and cost-benefit calculations, weigh on behavioral decisions and can confound the interpretation of self-reported knowledge. Thus, it is crucial to disambiguate the effects of context from knowledge when interpreting performance. We are studying the neural circuits and dynamics that enable learning, with an emphasis on the role of context and brain state. We first aim to gain behavioral control by designing parametric behavioral assays. We then apply the modern tools of neuroscience to monitor, manipulate and model neural networks. We can monitor outputs with two-photon calcium imaging and measure synaptic inputs with whole-cell voltage clamp recordings. We manipulate networks with opto- and chemo-genetics, using pseudorabies techniques to target defined functional populations. Finally, we collaborate with theoreticians to develop testable hypotheses to constrain our interpretations of the ever-growing "big data" we collect.